Over the past few weeks I discussed two examples of sound collecting in West Africa. The first was the Digging 4 Gold project, the second was the Music From Saharan Cellphones project. While these projects are not without their problems–foremost among which is the question of whether or not any of recorded musicians will ever be compensated for their work–they do go some way to circulate sounds from one part of our big world to other parts. Clearly, new ways to “release” music are evolving all the time. Over at DJ Jace Clayton’s mudd up! blog, we learn about an interesting fieldwork project that is slated to happen this summer. Clayton and a small crew are headed to Marrakesh, Morocco, to explore how “creative adaptations of global digital technologies. . . are helping to transform youth culture and suggesting powerful alternatives to Western concepts of digital literacy. 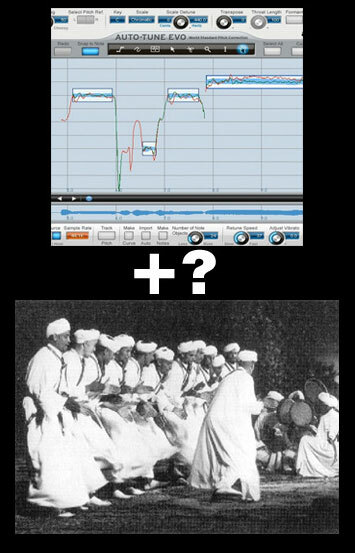 One focus will be the use of technologies such as Auto-Tune in Berber folk music. The goal of the Beyond Digital: Morocco project is to engage in a month-long art project with Marrakesh youth through teaching, collaboration, and documentation. It will be interesting to watch what happens with this project as it looks like it could be a dialogue between musicians rather than just a taking of music . . .
You can watch a video about the project here.